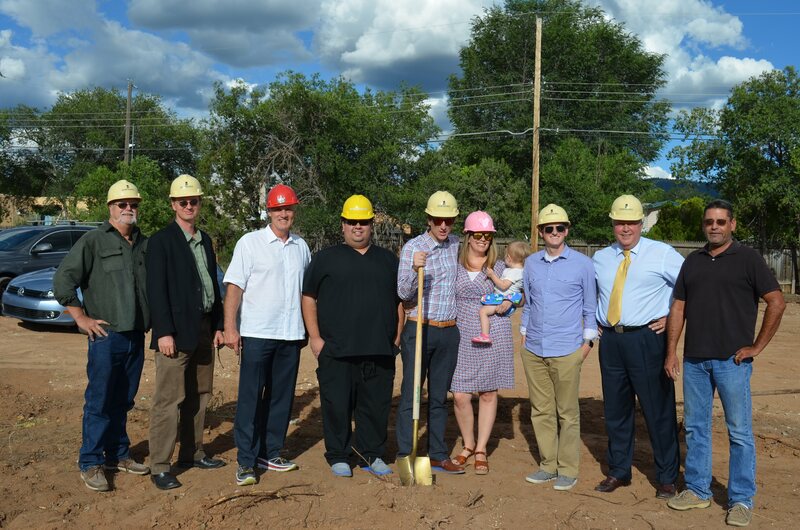 Santa Fe, New Mexico – October 1, 2015 – A groundbreaking ceremony was held for Dentistry for Kids, a new pediatric dental clinic under construction at 1441 South St. Francis Drive, Santa Fe. 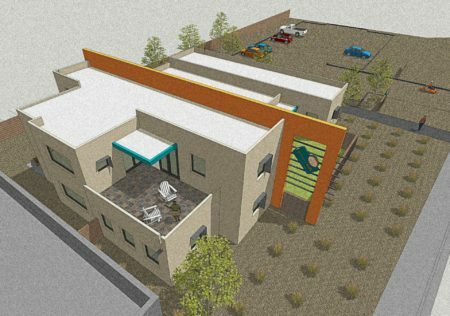 The new building is the culmination of Dr. Kris Hendricks’, DDS vision to provide comprehensive, top-quality pediatric dental care to Northern New Mexico children from infancy through teens. 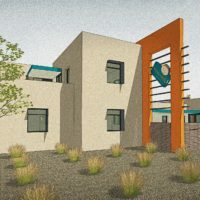 Under Kris Hendricks’ ownership since 2010, Dentistry for Kids has outgrown its current facility. When the new building is complete, all of the doctors will work under the same roof, including Dr. Blake Gutierrez and Dr. Kelly Hendricks. 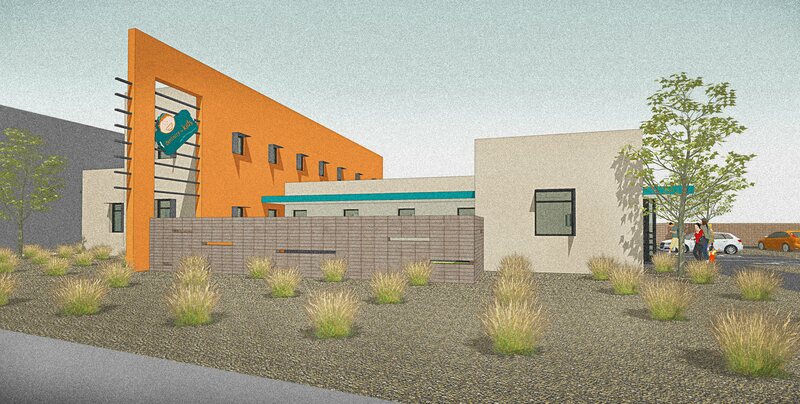 The new 2-story, 7,200 square foot structure will provide 5 private dental exam rooms and 3 shared exam rooms. 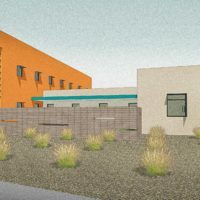 Designed to be welcoming and kid-friendly, the building will incorporate vintage video game consoles, an indoor play area, an outdoor courtyard with fountain, ceiling-mounted TVs over exam chairs, and a bright, contemporary waiting room. 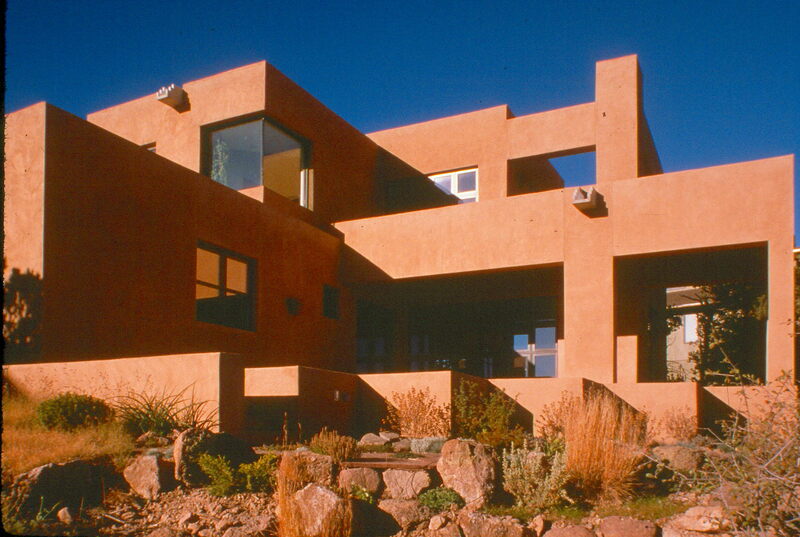 Environmental sustainability and occupant comfort were primary goals of the design. 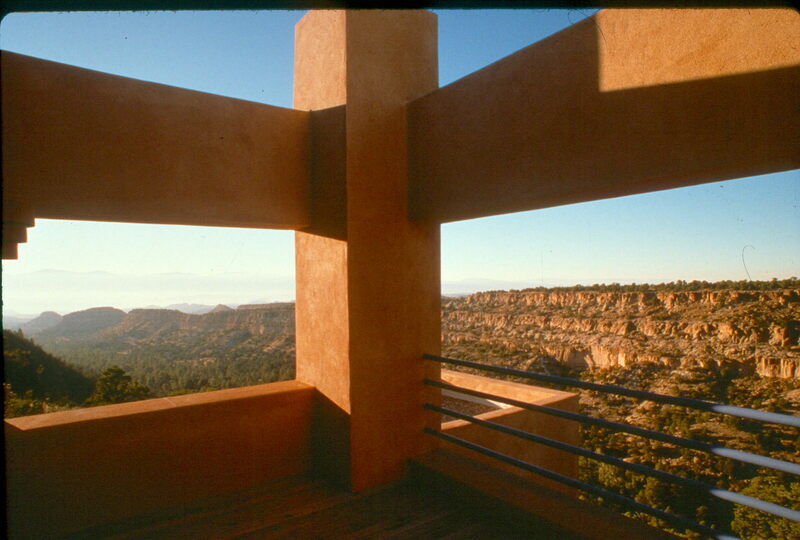 Most windows will be operable, to allow fresh air to circulate throughout the building. 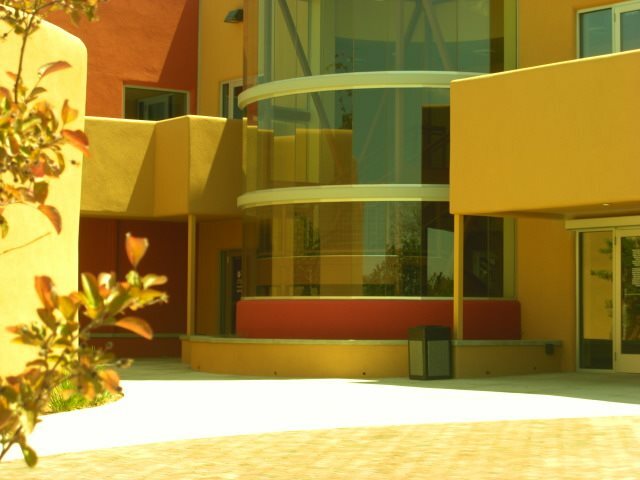 Windows will be shaded from summer sun, while winter sun will be allowed in to warm the building. 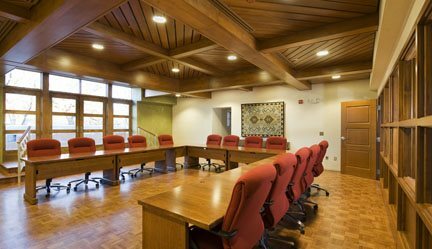 Interior materials were selected to minimize the use of toxins and preserve indoor air quality, and many materials will be left in their raw state. In the parking area, concrete and asphalt have been avoided in favor of permeable gravel, and all runoff will be channeled to planting areas. 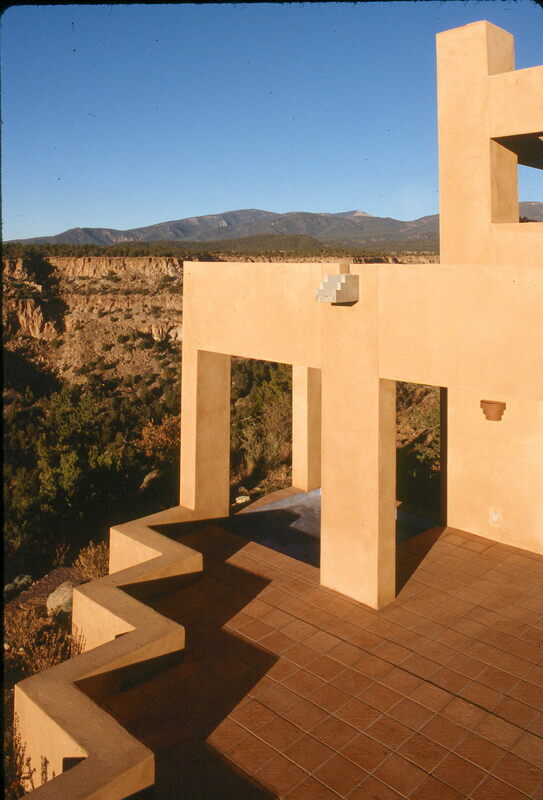 Rainwater will be captured in a large cistern and used for irrigation of the drought-tolerant landscape plantings. 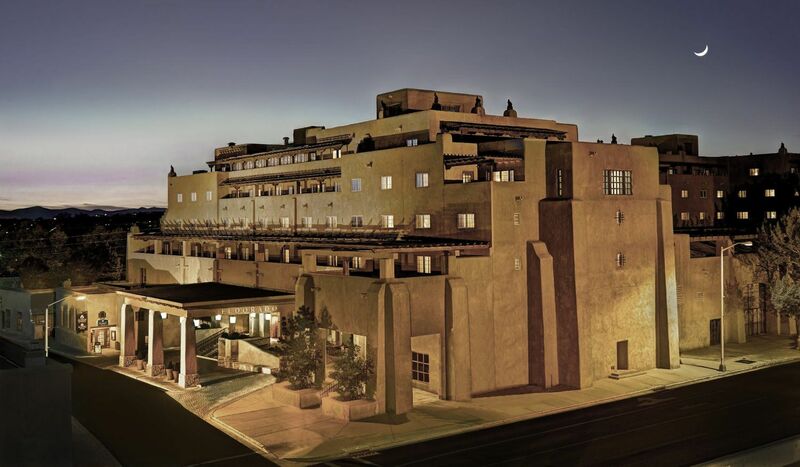 Designed by Principal Architect Wayne S. Lloyd, AIA, the architecture of the building will be Santa Fe Contemporary. 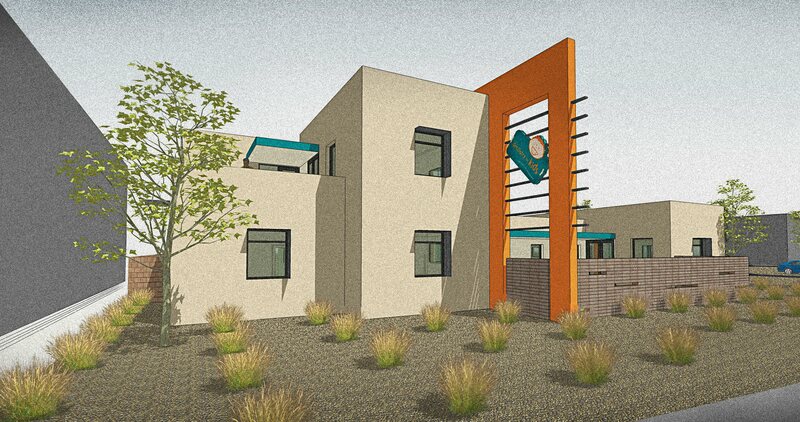 Earth-colored stucco masses with deep-set windows will complement the bright orange and teal of the Dentistry for Kids logo. 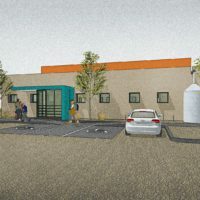 A large orange wall will extend through the building, providing a visual marker. 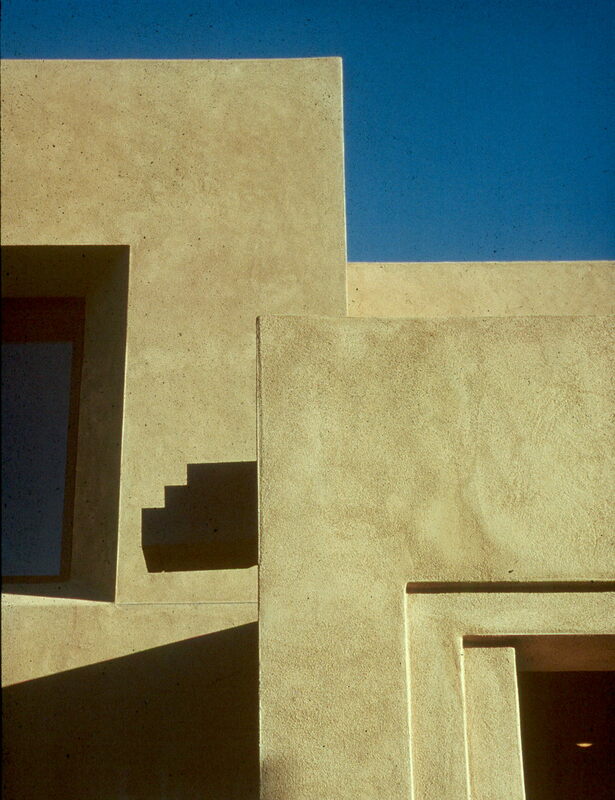 Burnished concrete block will enclose the outdoor courtyard and exposed, rusted steel elements will be used to shade windows. Upstairs, a second-floor roof deck will provide a break area for employees. 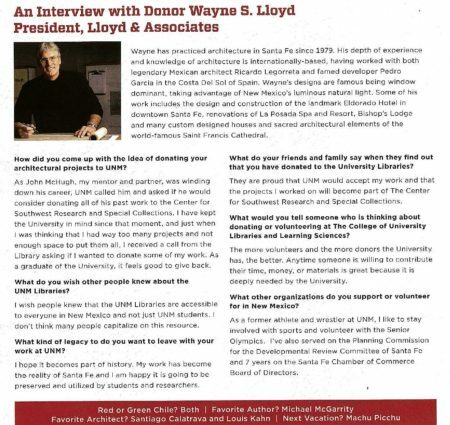 The building is expected to be complete by April 1, 2016. 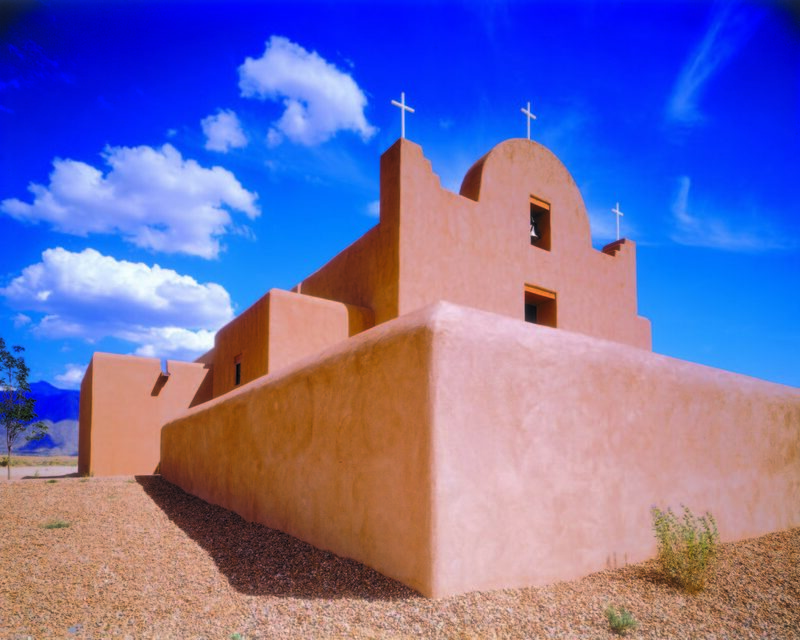 Lockwood Construction Company of Santa Fe is general contractor, and construction financing is provided by New Mexico Bank and Trust.